Cherry blossoms, sun shining bright, new cactus in the house. Who else is feeling these lovely, refreshing spring vibes in the air? It's safe to say that winter is behind us now and temperatures can only climb up to hot summer (which means, ice cream!). Time to say goodbye to chai lattes and comfy plaids, and show you what were my favorites over the past season. This is my way to put winter in the closet. I already told my boyfriend about it: I'm not much of a jewerly type, you would rather find me eyeing some cool eyewear accessories to complete my collection. While glasses were synonym of 'uncool', 'reserved intellectual' or 'geek' when I was 15, it now totally became a daily fashion accessory to fresh up your look. Yes, no more shame to have a bad eyesight. But I feel you, having your glasses made at an optician shop can quickly become pricey. 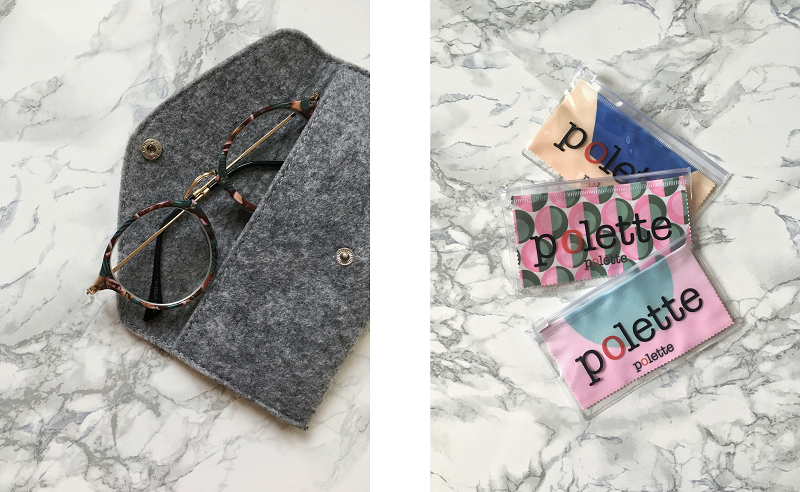 L'Usine a lunettes (french for Glasses Factory) by Polette sells prescription eyeglasses at an affordable price online, from classic to vintage frames, pastel to excentric colors and large diversity of patterns. The magic in there? They cut down all the intermediaries in between and send your glasses directly from the factory after having your prescription lenses made by professionals. Downsides? Most of the selling is made throughout the website, which means you can't try the glasses before receiving them at home. Well, if I talk about it in my favorites, you can guess I pretty like l'Usine a lunettes. Like, a lot. 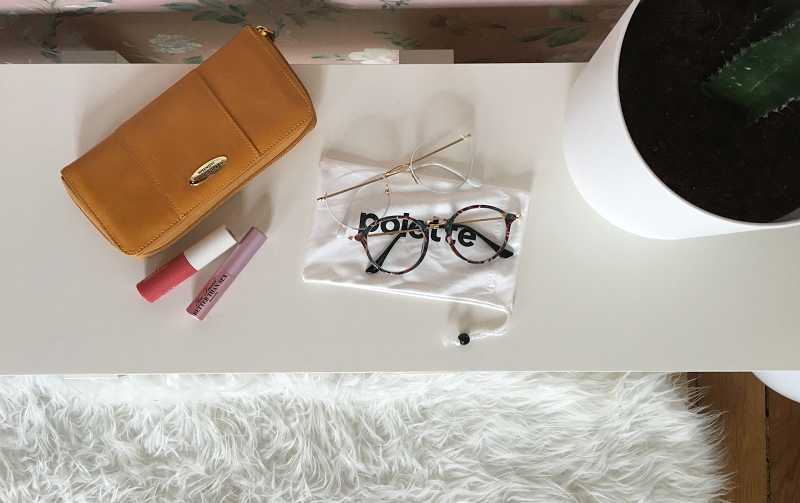 They have a large range of choice, different styles, cute vintage frames, and the prices are attractive when you need prescription lenses. You can get a cool pair of glasses for less than 50€, no words to explain how attractive this is. I ordered my first pair on their website last summer, some white, rounded light frames, and bought a new patterned one two months ago. I agree it can seem risky to order lenses online, eyesight is something serious you can't joke about. But because it's behind a screen doesn't mean it's taken care by unprofessional people. After choosing your frame, you upload your prescription and voilà, you just need to wait patiently! You can of course buy only the frames for fashion, cool cleaning tissues and cases. Honestly, only looking at the website is satisfying if you love eyeglasses as much as I do. Did you know that the beauty brand Sabon was born in Tel Aviv in late 90s by two young souls who started making soap at home from an aboriginal recipe? They arranged it by mixing local herbs, flowers and fragrant oils to make heavenly smelling soap bars that they cut into chunks. They then expended to cream, body lotion and other Nature inspired skincare products, always having creativity and environment in mind. I heard for the very first time about Sabon when I received this lovely jasmin scrub and body lotion set from a friend last Christmas. 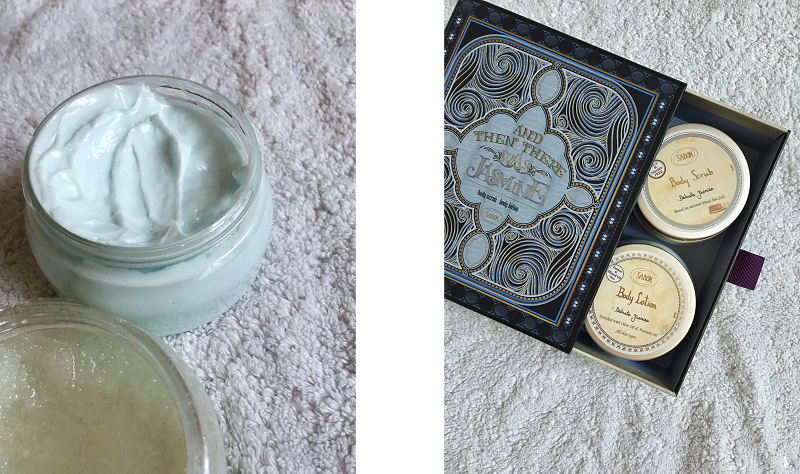 How gorgeous the packaging is, a One Thousand and One Nights book inspired box, some transparent pots revealing a sweet pastel blue cream and a little wooden scoop. I have only tried the scrub so far, but I totally loved the texture and the fragrance. It is made from minerals from the Dead Sea salt, know for its healing properties, almond, jojoba and borage oil, and is enriched in Vitamin E. I just love that it's not too scruby-scratchy like some peeling scrubs made of seeds are, and the jasmin scent is very delicate, not too floral, perfect for spring mornings or starry summer nights. 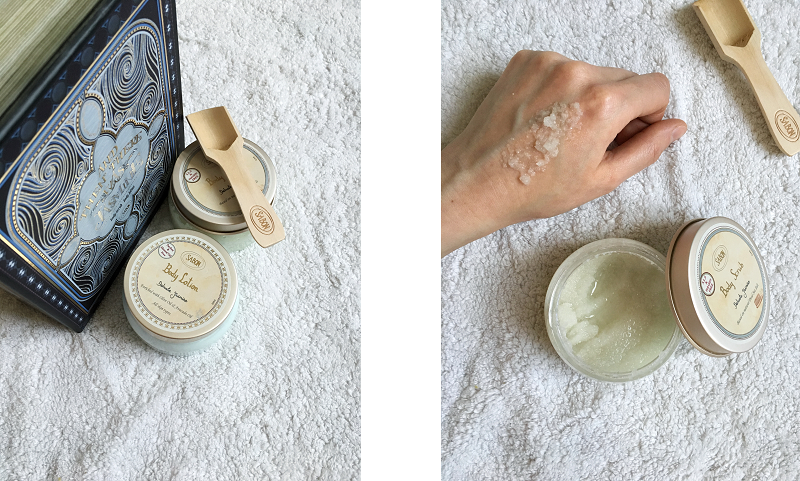 All the products from Sabon have this 19th century Parisian, elegant woman feel, which makes it a perfect gift for your mother or in-law, or to any beauty skincare lovers who want to feel chic and pampered from your own bathroom. If you love healthy drinks, healthy food and be surrounded by plants, Wild & The Moon is definitely a cool place to hang. 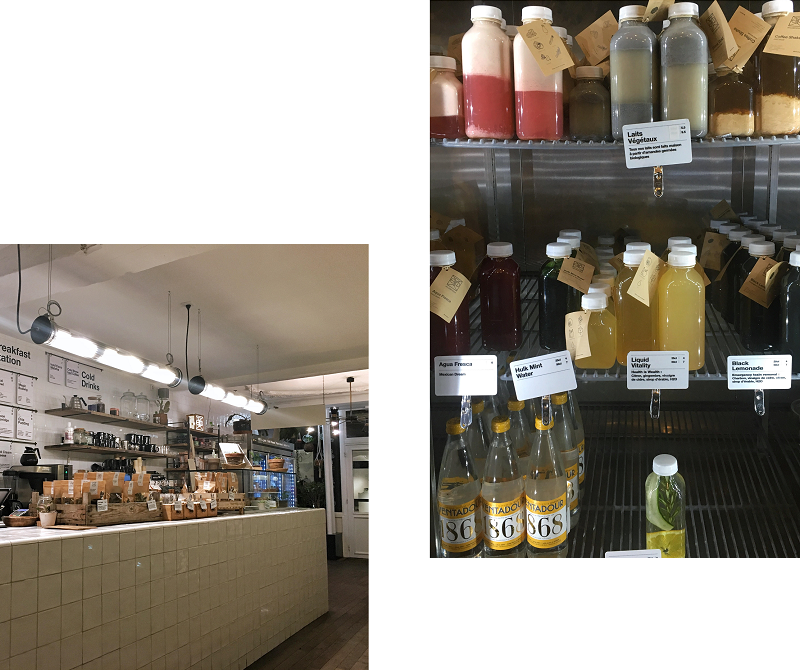 This trendy coffee/juice detox shop is located between Temple station on line 3 and Filles du Calvaires on line 8, near the crowded République square. 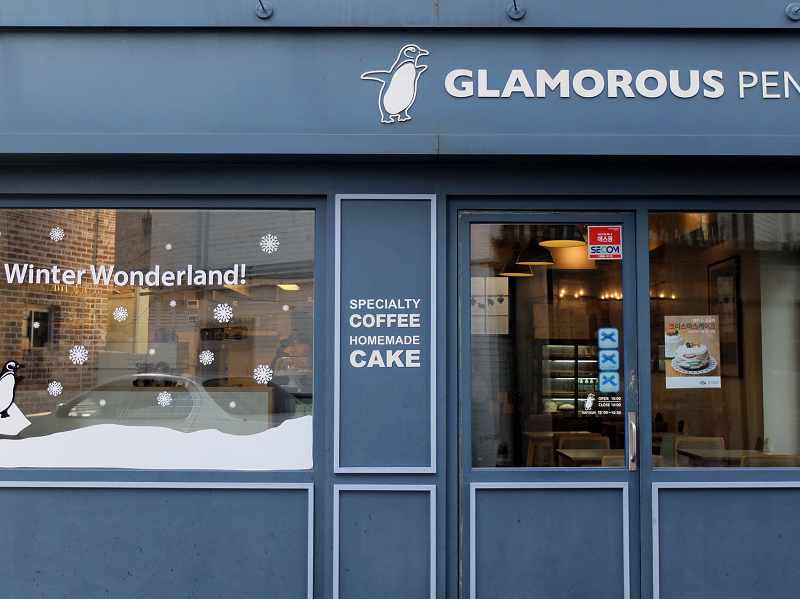 They serve all kind of smoothie, green juice, lattes with vegetal milk, variety of cake, fudge and cookie, as well as quick savory dish such as soups and salads. You can even order online to get it deliver at home, and follow some of their detox programs if you want to completly restart a healthy diet. (Ok, pause here, I am currently eating pizza toasts and potato sticks while writting this, I feel very wrong). I went to this juice bar last month to catch up with a friend as we wanted to drink some healthy smoothies – alright, it was a cold February evening but that was the time I hadn't given up on New Year's resolution yet so thick green smoothie sounded better than latte with a slice of brownie. I had already tried a sample of their almond milk at Bon Marché when they were having a pop-up stand, and that was delicious. Sweet, light, nutty. Healthiness in a sample cup. 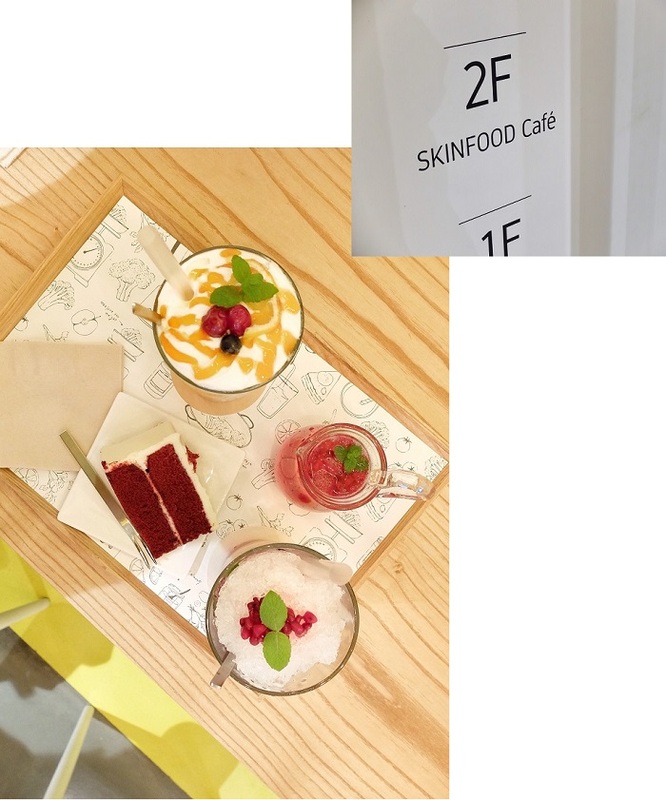 So was I very excited to try their juice bar in real, adding that all the Instagram pictures were cool. 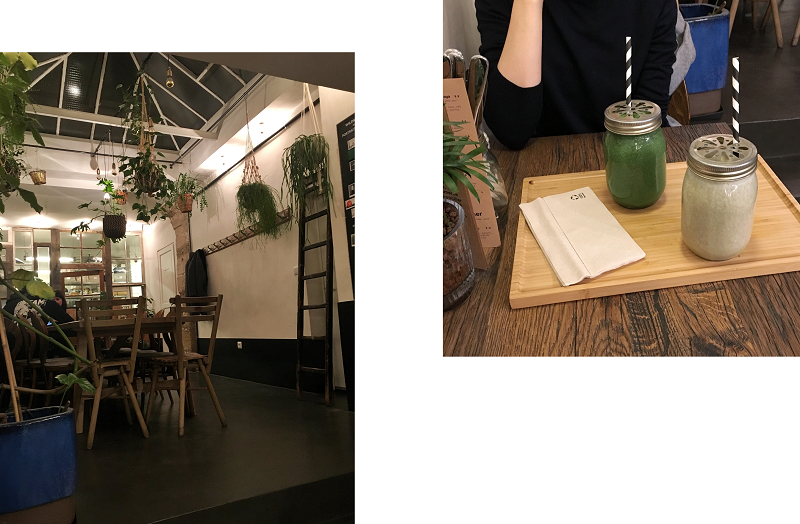 I went for a matcha – banana – chia smoothie, and my friend had their basic green juice. I, honestly, was a bit disappointed by my drink, it only tasted banana with a very light tea flavor (but I couldn't tell it was matcha), and I comforted myself thinking that at least chia seeds bring fibers and good omega fats. But, the place itself is super cool. It's quite narrow on width but extends in lenght, with large tables to share at the end next to the small kitchen. You can choose take-out juices and soups in the refrigerated case on the right, or order drinks and food at the counter. The menu is written behind on pad notes-like boards, sorted by categories, which can make it difficult to read, all the information being spread on the wall. But, the counter made of white tiles has its cool contrasting style. There are also a lot of plants hanging here and there, which makes the place both vibrant and relaxing in the right balance. These are things I'll never deny: 1) I love cute corgis and bunnies videos, 2) I make coconut curry at least once a month even if my dad doesn't like it, 3) I'm a real IKEA fan. There's this strange magic operating everytime I step into an IKEA shop, that I can't come back home empty-handed. New plates, new sorting boxes, kids' dolls, even berry jam - berry jam, yes - I end up buying something. But who doesn't, seriously? It always has some nice stuffs for your home, good quality at an affordable price. And I guess the best of it is just to wander in the alleys, imagining you're living in a new studio – even if it's for two minutes. The last time I went there, I got this very simple, grey room rug, that became my current favorite item in my bedroom. Ok, this is just a rug. 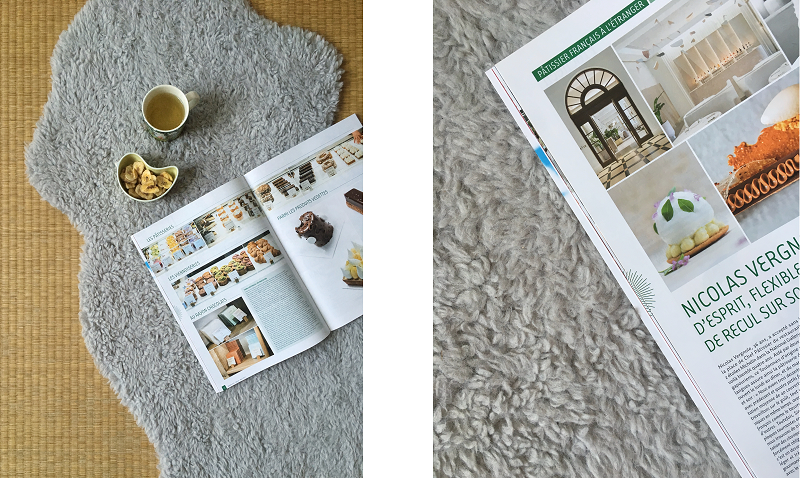 But, knowing I spend my time grounded, rolling on the floor – and when you have a tatami, I can tell you sitting on a rug is sometime great – it becomes more than just a rug. Also, if you follow my instagram, you certainly have seen it more than once, as I like to take flatlays on it, or maybe noticed it in my latest post. I just think it brings some texture to the room, and after all, you never get tired of grey! L'usine a Lunettes seems like a pretty cool website, I'll definitely check it out once my eyesight will eventually worsen and i'll have to wear glasses too haha wished i looked as cool as you with glasses!